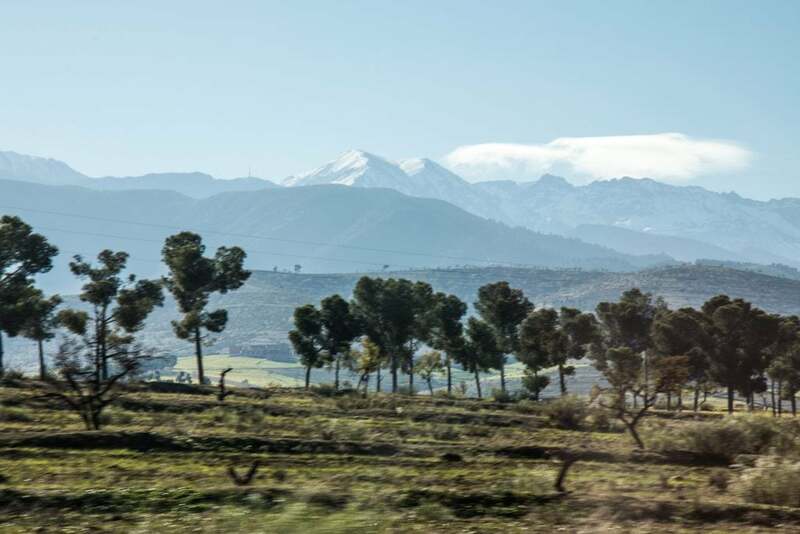 During our stay in the South of France, we took advantage of the proximity with North Africa to visit Morocco. A destination that was totally unknown to us and where everything was to discover. We arrived in Marrakech under the blue African sky. A new feeling that gives the impression of being closer to the solar star that quickly warms our skin. 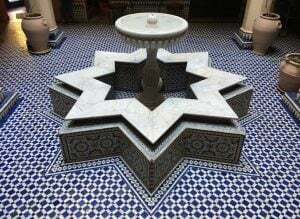 We booked a room in a typical Moroccan Riad, in the heart of the Medina, the historical center of the city. Marrakech is a city in constant agitation, day and night. 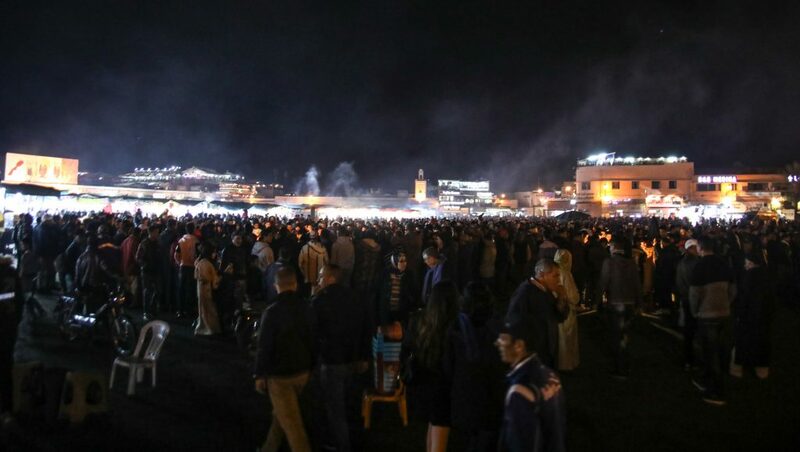 Led by the Zouks, local markets, the main square Jemaa el-Fna brings people together around food, commerce and street performances. We discover the richness of Moroccan culture, from its food to its architecture, through artisanal creations. 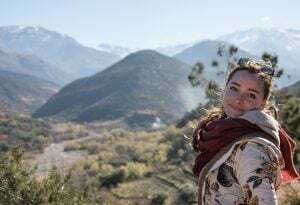 To go further in the discovery of this country, we head to the Atlas Mountains with a local guide. Past the arid and desert landscapes, we begin our journey in the mountains by a green valley that allows to feed livestock. The river flowing from high peaks gives life to an abundant grass. In the middle is a village, open to tourism for a few years, Imlil. This is the birthplace of our guide, allowing him to give us accurate information on the history of this region and Morocco more generally. 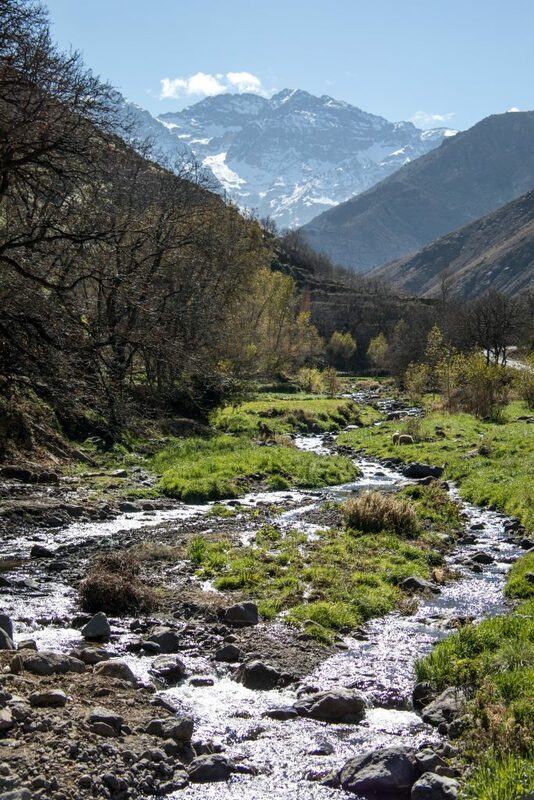 Originally, the Atlas Mountains was inhabited by Imazighen. When the Romans conquered North Africa during the 2nd century BC, they decided to name all the people they met and did not speak the same language as they: the Barbarians. From this term, came the name of Berbers, which is little appreciated by the local populations, due to its negative connotation. Faced with numerous invasions, Romans and subsequently Arabs, the Imazighen took refuge in the mountains. The name Imazighen means “free man”. A status they will try to keep by building villages straight out of the ground, which camouflages perfectly with the environment and a single will: that of living in peace. 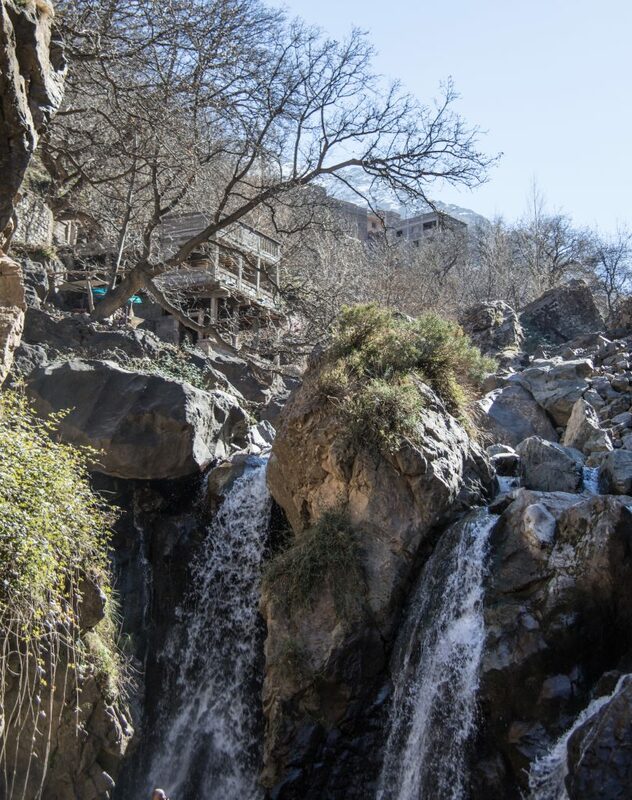 We leave the village of Imlil by sharing a local meal with our guide: the tajine. Vegetables and chicken, traditionally cooked over a wood fire in a terracotta dish : tajine. A gastronomic heritage that brings people together around the table. A key word: sharing. We return to Marrakech the same evening to go to the west coast, where we finish our trip. 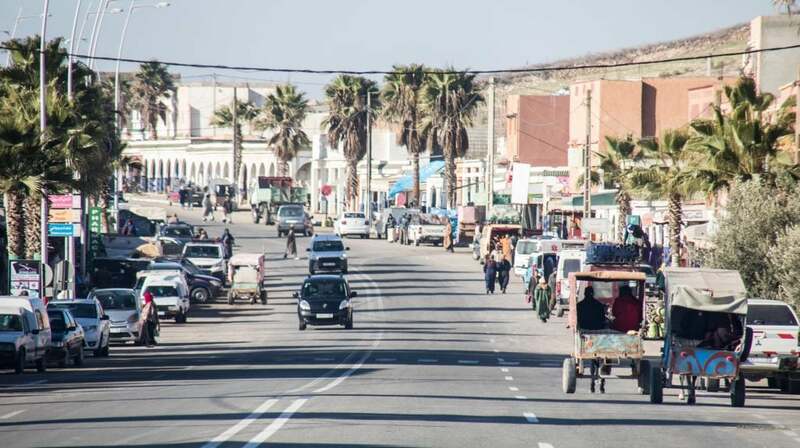 3 hours drive away from Essaouira, one of the most famous coastal cities. We discover a new facet of this country: the seaside. The sea wind blows tirelessly to the delight of seagulls dancing in its wakes. By the hundreds, they wait more or less patiently for the remains of the day’s catch. 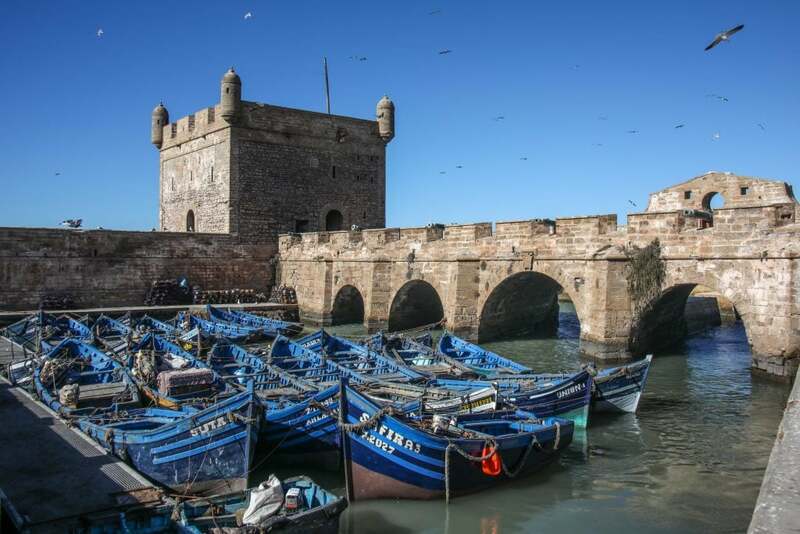 Essaouira is also an important port city, surrounded by a fortress, heritage of the Portuguese occupation in the 16th century. Today, it is a popular destination for tourists and especially for people who want to enjoy its mild climate for their retirement. A city where nationalities mix, bringing an open mind to the world. We take pleasure in basking in the sun, listening to the musicians in Moulay el Hassan square and observing passers-by. From the bustle of Marrakech and the emulsion of Essaouira to the enriching silence of Imlil, we have set aside our habits to immerse ourselves in a new world. Travelling is also a journey, out of its comfort zone to meet different ways of living and thinking. I invite you to explore regions of the world that are still unknown to you, with the eyes of a child curious about everything.